Clearzal || Tootsie Care Products - Are They Worth The Hype? Skincare is one of those things that even the beauty-phobic still use and need - well in most cases. Over the years I've grown to be a bit of a snob when it comes to the ingredients and I've come to realise that a huge percentage of high street skincare products are actually really terrible for our skins. If you suffer from allergies or inflammatory conditions - celiacs, eczema, psoriasis for example then you really need to be wary about what you put in and on your body. I have my own health issues like most people but one of those side effects is dry skin. The dry skin then snowballs so that my nerves are affected which leave me with an uncomfortable feeling that's akin to constantly dragging your nails down a chalkboard - my body gets goosebumps on it's goosebumps. Foot care and hand care are a must. Multiple times per day you'll find me lathering my skin with creams and potions - some are terrible and don't last anything over thirty minutes, others last hours. I much prefer the latter. Hubster also has his own skin issues with a condition called Pityriasis Rubra Pilaris - it's rare so managing it is important to keeping him comfortable, the only issue is getting him to action the skincare routine without much nagging. He's a man's man - explains it all really doesn't it. I recently got to try out some of these Clearzal products - note how I say ''I'' - well I came home to find hubster had got into them. Crazy right? Yup I got a call saying 'oh some things came' and low and behold I find them all unpacked on his side of the bed. Needless to say I wasn't going to break up this hubster and Clearzal relationship, not since it started without any nagging. Scrub Exfoliator | Amazing for the legs and for combating ingrown hairs. This is a must prior to shaving and after shaving as I always had annoying and somewhat painful ingrown hairs, so far I've had none - I think that speaks volumes really. Hard Skin Remover | This product has completely transformed my husband's feet from problematic to almost normal. I swear we've never used a product that's shown any real improvement other than this one. The magical ingredient is salicylic acid which helps to slough away dead skin cells and is still seeing a huge surge in popularity across the beauty market. To soothe the tootsies there's also Aloe Vera which is wonderful and natural for our skin. Foot Food Nutritional Cream | Rosemary, thyme, lavender, Aloe Vera and urea all feed your tootsies with the nutrients they require to stay soft and supple. This cream also has some pretty amazing lasting power without the greasy, slip and slid that comes from similar brands. Pain Relieving Gel | I hold my hands up here, I actually use this on my shoulder - a lot. Fibromyalgia plays havoc on my muscles and I just can't shake the painful knots in my upper shoulders and neck area, this pain relieving gel helps to numb and soothe the pain almost instantly. It's a real godsend. 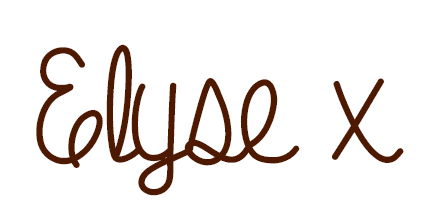 I've since recommended it to a friend who has lymphedema in both legs to help with her pain. Busy Feet Energising Cream | Ah this is so refreshing on the feet. It reminds me of deep heat but without the heat and the pain gel but milder. If you suffer from sore soles, especially when wearing heels then this is perfect for you. 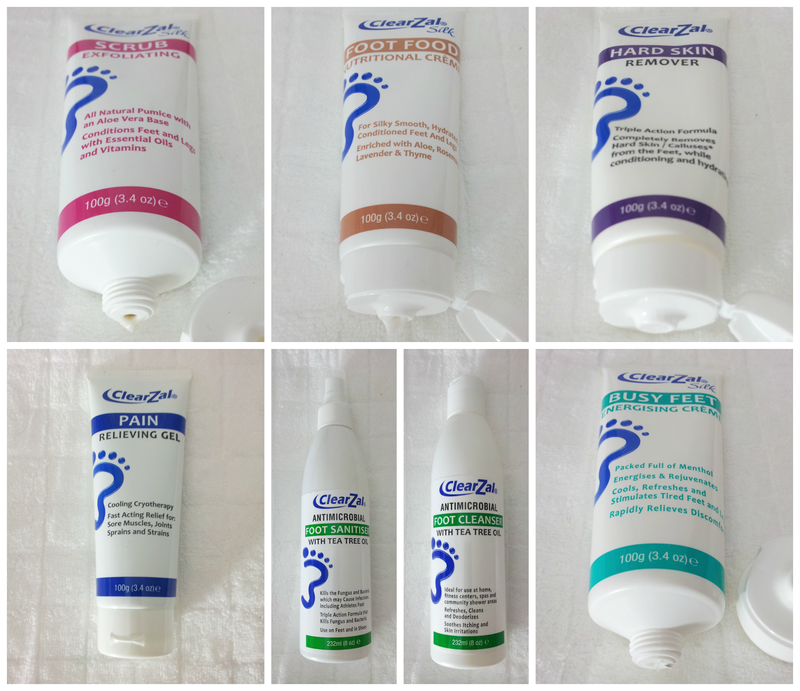 Antimicrobial Foot Sanitiser | This kills 99.9% of foot nasties - athlete's foot included. We use this on all of our tootsies, especially our sons. Hubster sprays this on before he applies the foot food cream. It's apart of his new and improved foot routine. Antimicrobial Foot Cleanser | Sweat, socks, diet, exercise and stress all play a huge part in our feet's ecosystems throwing it out of whack. Hot and moist areas are the perfect breeding ground for bad bugs to start to breed and nasty symptoms to appear. This foot cleanser is not only refreshing and easy to use - it also kills 99.9% of bacteria, viruses and fungus. If you have feet then you need this product. Tea Tree Foot Soak. If only you could smell this product, it's seriously refreshing. Ingredients include peppermint, benzalkonium chloride, tea tree and eucalyptus and after a long day at work this really makes me go 'ahhh.' Benzalkonium Chloride is also fantastic for cuts, scrapes, blisters and the usual food suspects as it's an antibacterial topical agent and works to reduce infection. Once you've soaked, cleaned, scrubbed, spritzed and hydrated your tootsies the only thing that's left is colour. The hardest and most stressful part of my foot routine is deciding which colour to opt for. The colours I'm swaying over at L'Oreal Colour Riche in Kimono Empire which is a deep plum with the tiniest hint of sparkles - or - Bubblegum Pink which funnily enough is a bubblegum pink with a hint of purple undertones. Overall we're so impressed by these products. I honestly didn't believe these would make a difference with hubsters feet - my feet yes, his no but I've been well and truly proven wrong and now hubster has deemed the hard skin remover and foot food to be regular must have purchases. You can pick up your own products at your local Boots or the Boots website. The hardest thing though is which colour polish would you opt for? This beauty-phobic blogger, nearing the big 40, does use skin care :) I use a good quality moisturiser on my face, and that's pretty much it (the harsh weather where I live whips salt spray at you for most of the winter - skin care is needed!). :D These look like some fab products! I think I need the hard skin remover in my life, to make my feet beach ready for the summer. I haven't heard of this brand before but these products do look good. Thanks for the thorough review.